Oh, dear; it appears that Stephen Colbert has found himself the target of Piers Morgan’s Twitter wrath. Which, as anyone who follows such things knows, can be quite considerable. On Wednesday’s episode of CBS’ “Late Show With Stephen Colbert,” the late-night host weighed in on the tariff back-and-forth between President Trump and the European Union — and tossed in a dig at Morgan in the process. When Colbert’s dig came to Morgan’s attention Thursday, via a tweet linking to a video of the jab, Morgan shot back in kind, suggesting that British actor and comedian James Corden — who hosts “The Late Late Show” following Colbert’s program — would take over Colbert’s gig. 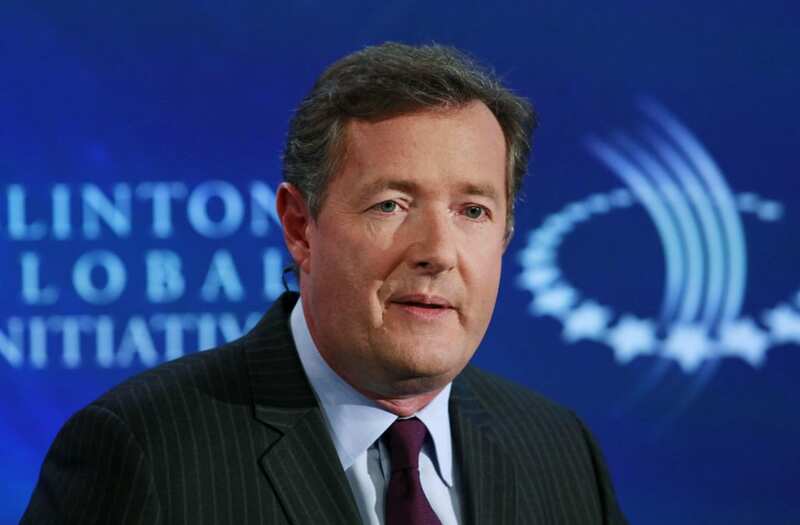 While Morgan was no doubt pleased with his riposte to Colbert’s joke, the “Good Morning Britain” personality received additional fire, from Twitter users who were quick to remind Morgan of his short-lived CNN gig. “Remember when you had Larry King’s job for 5 minutes but turned out Americans couldn’t stand you?” asked one responder. See Colbert’s jab and Morgan’s response below.